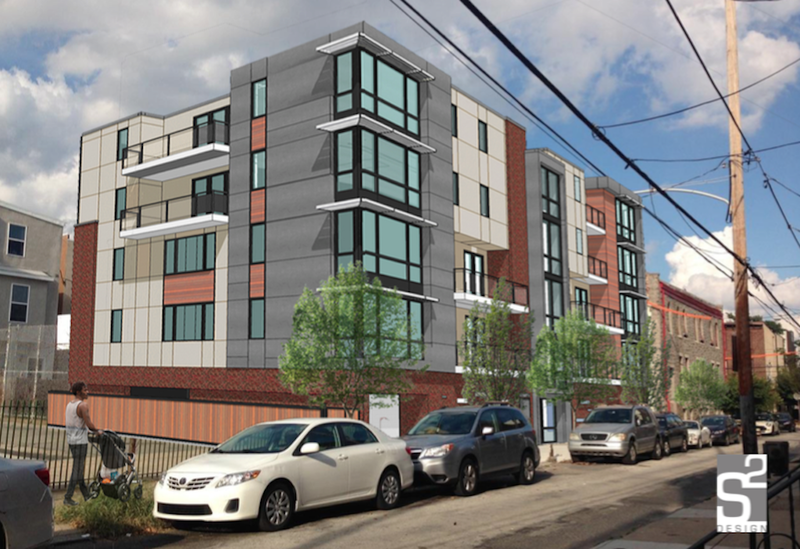 A little over two years ago, we told you about plans to convert the First African Baptist Church building at 16th & Christian into a daycare and a couple of ridiculous condo units. 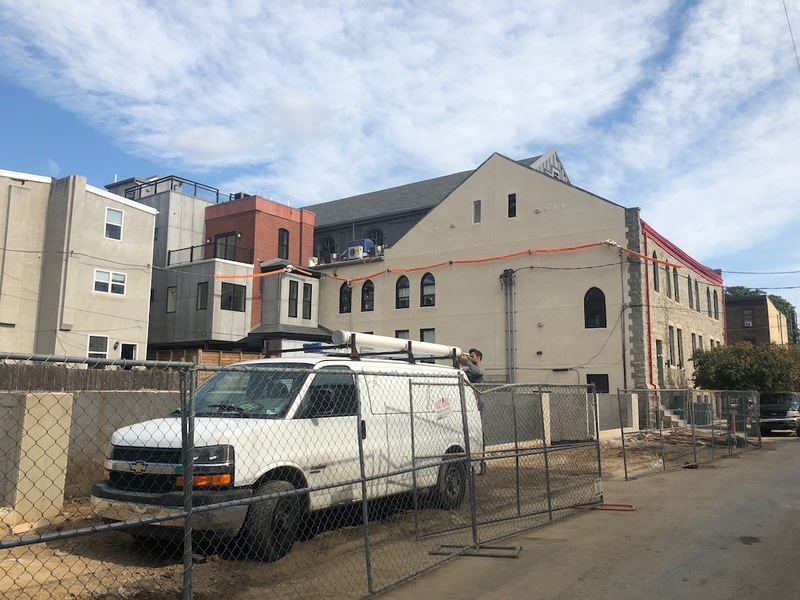 That plan also included the conversion of the former rectory into a single family home and the construction of an eight-unit condo building on Montrose Street, in the space that had previously been used as a surface parking lot for the church. As is often the case with multi-pronged projects though, the initial plans shifted some over the course of time. The rectory was renovated into a home, and the 4,500 sqft beast is listed for sale for just under $2M. The former church was indeed converted into a day care, and that business proved so successful (who would have guessed in this part of town) that the owners of the building ultimately decided against the condo conversion and instead allowed the day care to grow into the rest of the building. The condo building was approved by the ZBA but got jammed up in an appeal, encouraging the developers to scrap their original plan and instead proceed with a by-right project that calls for four mansions. 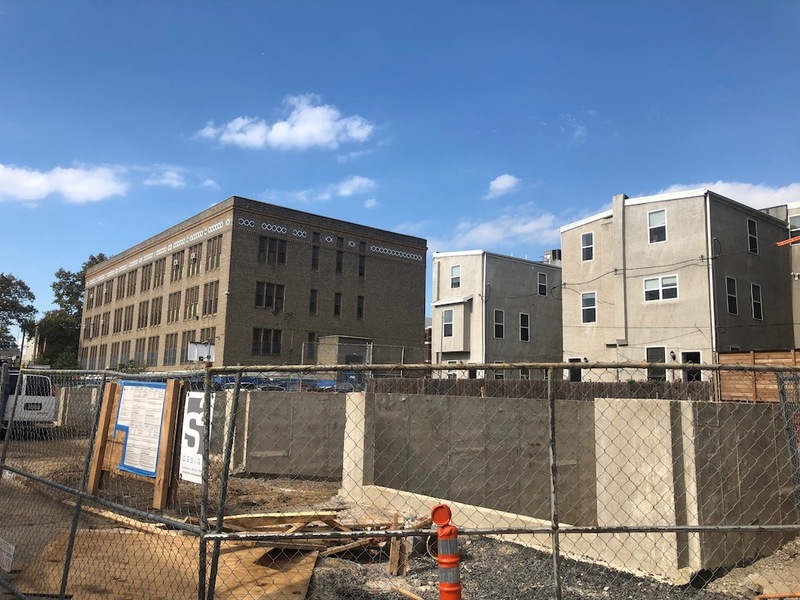 In case you’re holding out hope that the developers will go back to the condo plan, we’re here to tell you that they’ve already starting work on the homes. If you visit the property today, you’ll see that foundations are already poured, awaiting framing. Two things struck us when we visited the site- first, these are going to be some incredibly wide homes. Second, there’s space between some of the foundations to allow for drive-aisle access. Looking west on Montrose St.
We reached out to the design professional for the project, S2 Design, who shared an elevations drawing and floor plans for the homes. 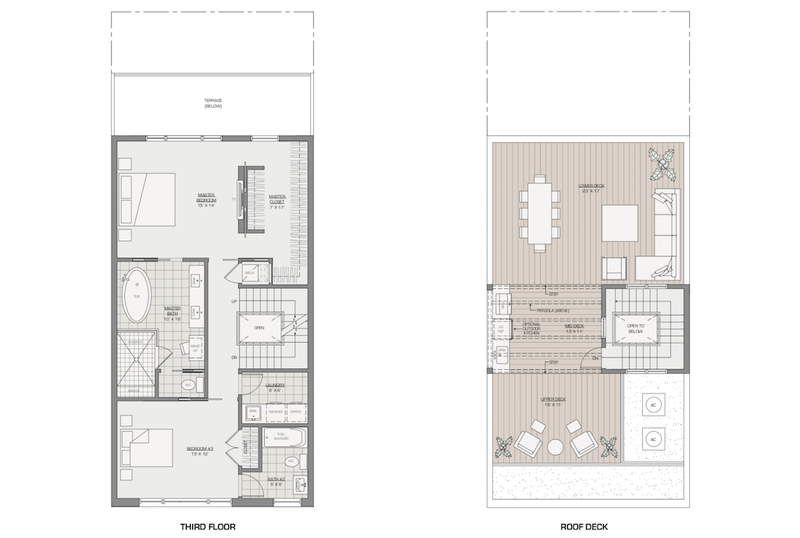 We see that these homes will have about 3,500 sqft of interior living space, but because of their 23′-width, this will cover only three floors above grade. 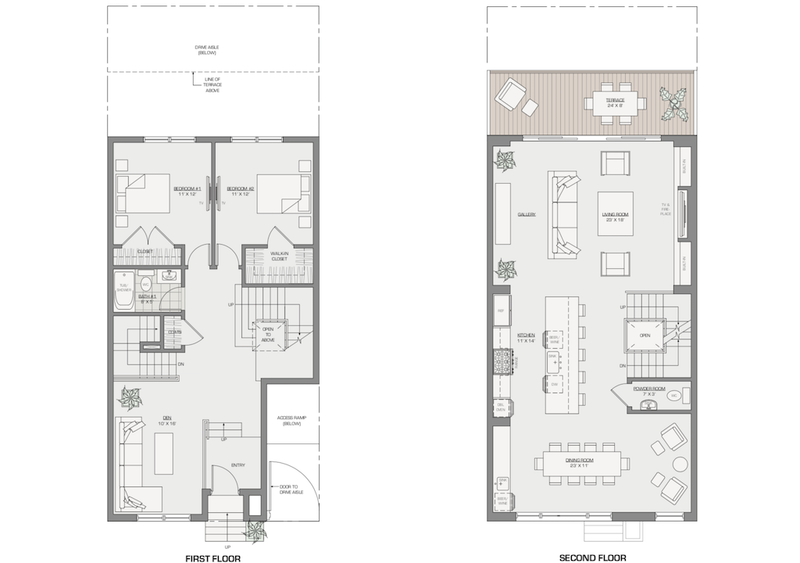 Usually, with ultra-high-end homes, we expect at least four stories, but they were able to create incredibly roomy layouts over just three floors (plus a basement). 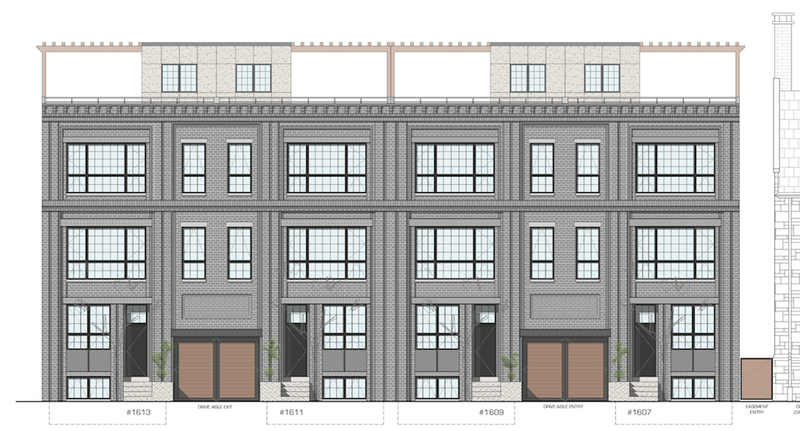 As the drive-aisle would suggest, each home will have 2-car parking. Figure on prices that exceed $1.6M. One other notable item, the western wall of the western home will sit on the property line of the Stanton School playground. As a result, it won’t be possible to place windows there. Instead of presenting a huge blank wall to the schoolyard and the rest of the block, the developers are planning to work with Mural Arts to commission an education-related mural on the wall, which will certainly add an attractive element to the area. It would have been even better if it was on the side wall of a taller condo building, but c’est la vie.